How Does the Binary Plan Work? The way the binary plan works is very simple. The profit margin here depends solely on your downline being active. Most companies that operate with the binary plan give compensation based on the weaker leg. That is to say, the binary bonus is paid based on the sales of the left team if it has fewer business sales than the right team. The binary plan inspires the downlines and the uplines to work harder and by so doing creating further growth in the organization. Members are shard to down-lines irrespective of who recruited them in a process known as spillover. 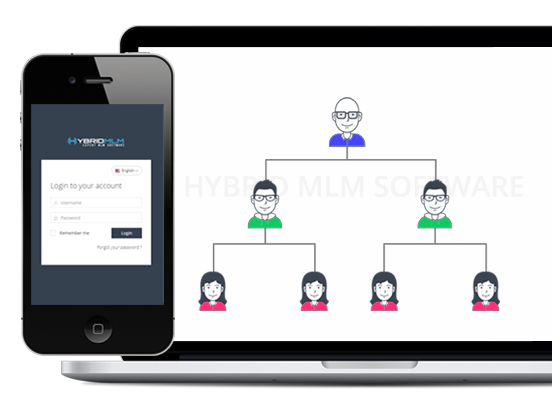 Hybrid MLM program plan manages all concepts of a binary MLM plan with ease. To ensure that the team remains motivated and active, it becomes necessary for companies to give out compensations. This they do to also ensure that the binary structure remains active. Our customizable Binary MLM Software gives you the ability to make your rules as well as changes in the compensation plan. 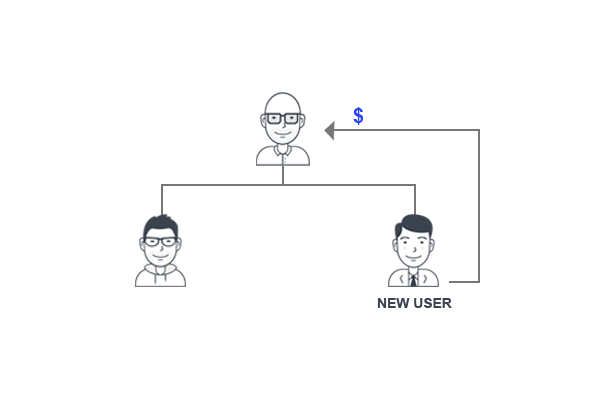 The sponsor bonus otherwise known as the referral bonus or the introducer bonus is the benefit gotten by a user for recruiting new members to the downline network. The bonus is calculated based on the percentage of the amount the company has already predefined. The commissioned amount is automatically credited to the user’s e-wallet. Since compensations are paid based on the weaker leg, it is expected that the user balances both legs with active members. 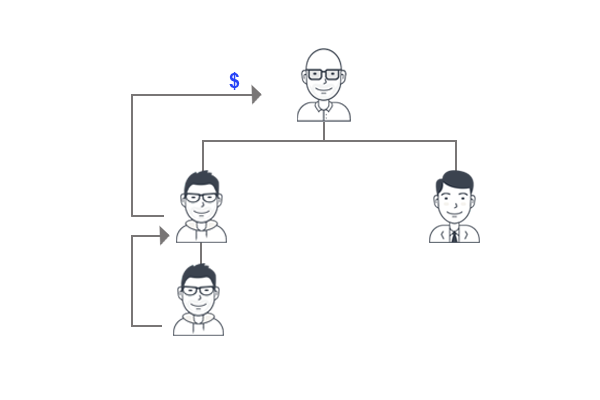 This enables the tree to get completed while the user gets the bonus as a result of the work or sales of the down-line members. This is called the pairing or binary bonus. The pairing or binary bonus is limited by the plan you choose and company’s rules. The bonuses are therefore subject to capping, working along the set of laid down rules by the company and unpaid volumes can be carried forward to the next day. Our MLM software package provides a complete customized and profitable Binary MLM plan for MLM companies. The matching bonus is the bonus earned when new members are introduced to the down-line network. Income earned by downline members is also earned by parent member who has sponsored the downline members. 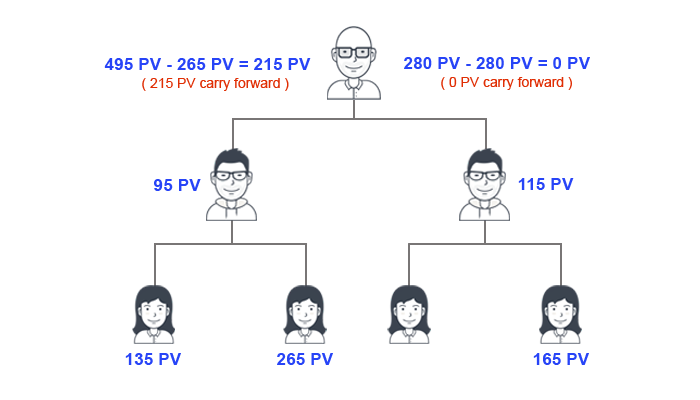 The matching bonus, dependent on the compensation MLM plan chosen by the MLM Company, is capable of increasing up to n generations. Fast expansion when each member recruits a new member. Unlimited depth when every member in the upline and downline is certain of gaining profit from sales. Spillover which permits getting a new member shared between all uplines thereby encouraging mutual benefits when everyone attempts to recruit new members. 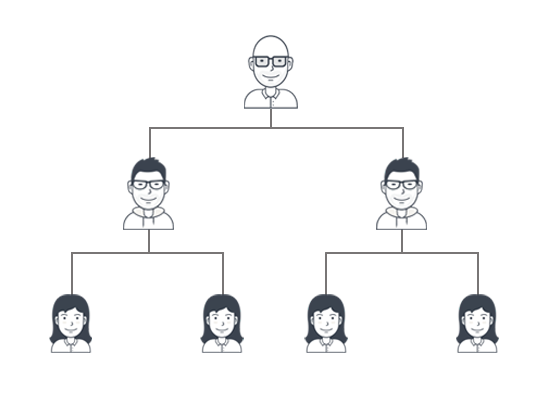 Our Binary MLM Plan Software provides an internet-based workstation for the monitoring of income and expenditure of customers by business administrations who are involved in the Multi-Level Marketing. Its features are easy to understand and maximised to promote product sales and market growth at all levels. © Copyright 2018 Hybridmlm software. All rights reserved.